The South Coast Shuttle is a weekend summer-season extension of the Ride Norfolk bus service. 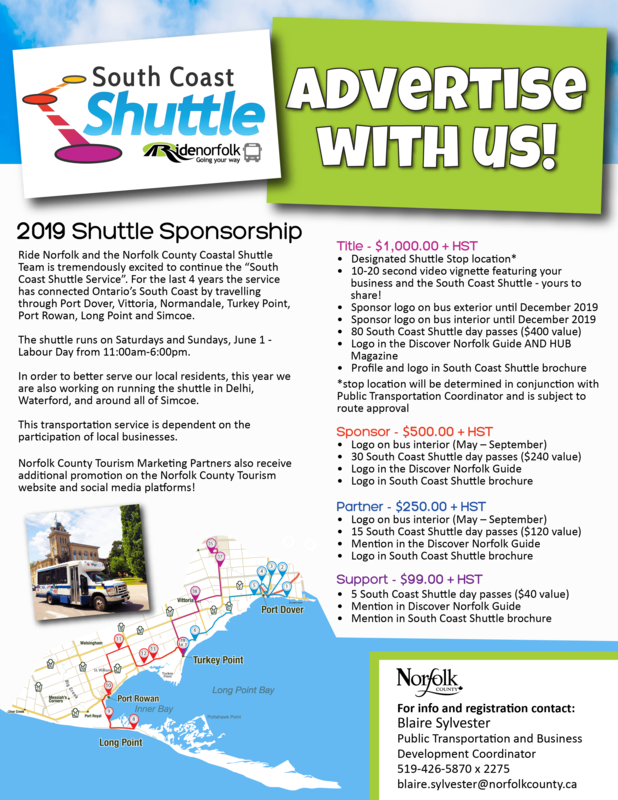 The Shuttle stops at many of our local wineries, breweries, businesses, beaches, and feature areas of the County. The shuttle operates Saturdays and Sundays from June 1 – September 1. Advertise with us for the 2019 season! The schedule and routes change each year depending on sponsorship. For more information on our proposed 2019 service and sponsorship opportunities contact us today!